For the first time in several years, the Rada managed to pass the state bidget for the next year well ahead of the New Year’s holidays. At the same time, the deputies traditionally made serious changes in the tax legislation, while their attempt to cancel the achievements in the sphere of public procurement and postponement of land reform sparked public outrage - these are the main economic news of the outgoing week. Ukraine enters the New Year with a new budget. For the first time in several recent years, the country saw its main financial document as early as in the beginning of December (December 7, to be precise). "It’s still 24 more days until the 31st of December but the Verkhovna Rada has already voted for the budget!" President Petro Poroshenko proudly wrote on Facebook. The document was passed by 273 votes in favor. 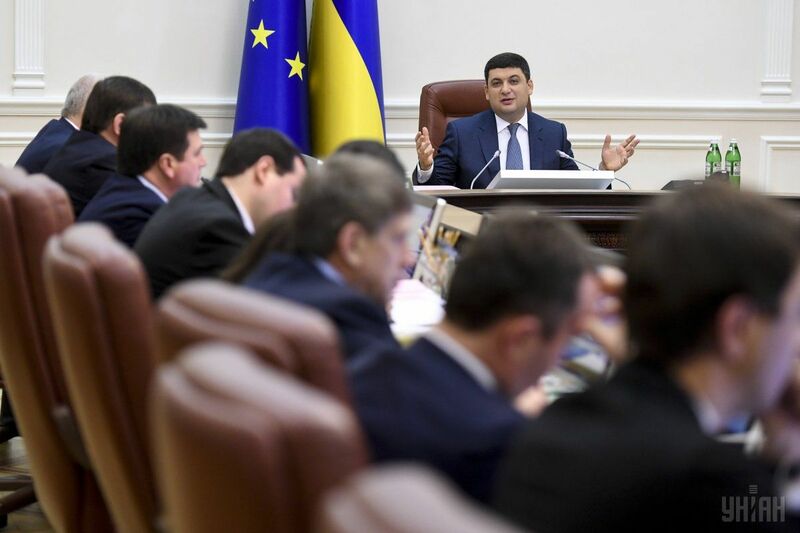 According to Prime Minister Volodymyr Groysman, the approved budget will allow businesses and government bodies to plan their finances and projects for the next year without surprises and haste. The Cabinet of Ministers has published the main targets of the state budget-2018. Its revenue amounts to UAH 913.6 billion, expenditures are at UAH 988.6 billion, while the deficit, which increased to UAH 81.8 billion, hardly fits within 2.5% of GDP, envisaged in the program of cooperation with the International Monetary Fund. Experts note that the adopted state budget meets the IMF requirements and is generally quite realistic. At the same time, they warn that some populist initiatives that many politicians like to abuse on the eve of elections and coming up with some unrealistic revenue articles to compensate for such initiatives can result in an increase in inflation, which will affect both individuals and businesses. "The budget meets the IMF criteria: in the initial draft, the deficit was at 2.4% of GDP, while the new deficit corresponds to 2.5%," head of the analytical department at Concorde Capital, Oleksandr Parashchy, has told UNIAN. The budget provides for GDP growth in 2018 at 3%, inflation - at 9% and the national currency rate – at UAH 29.3 / USD. Also in the budget, the projected unemployment rate is laid out at 9.1%, while the public debt target is 60% of GDP. 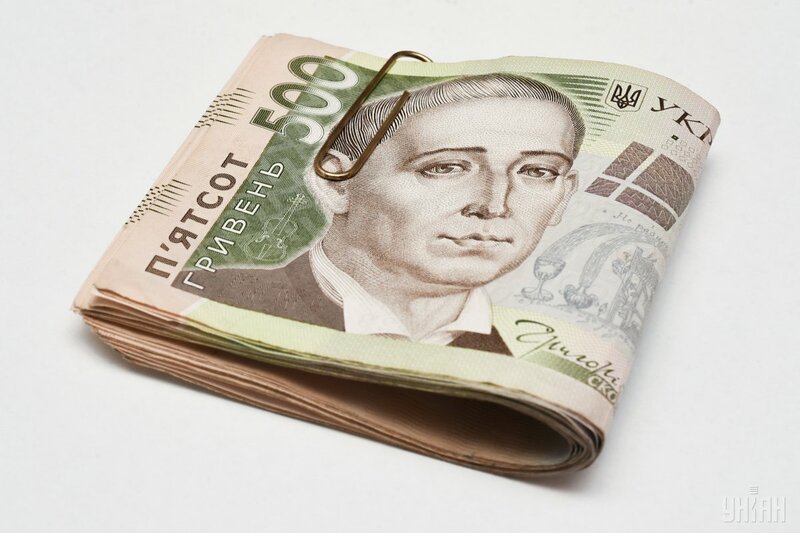 The accent is made on raising social standards: the minimum wage from January 1 will increase to UAH 3,732, while the subsistence minimum - to UAH 1,700 with the subsequent growth from July to UAH 1,777 and from December – to UAH 1,853. "The draft budget provides for a regulation on adjusting the minimum wage, depending on the growth of the national economy. I hope that the minimum wage will be increased," said the head of government, summarizing the discussion of the state budget. He also noted that the issue of raising the minimum wage to the level of UAH 4,100 – UAH 4,200 would be considered based on the results of the first quarter of 2018. Additional costs in the adopted law are subventions to local budgets on benefits and subsidies to the population to facilitate payments for housing and communal services. Their volume increased by UAH 15.9 billion - almost to UAH 71 billion. However, this amount may not be sufficient in the case of a significant increase in 2018 in the tariffs for gas and heating. Subventions to local budgets for healthcare and social assistance to the population also increased by UAH 5.9 and UAH 2 billion, respectively. Another subvention will be allocated for the development of regions in the amount of UAH 5 billion. Increasing costs are proposed to be compensated for by increasing revenues from profits and dividends of state-owned companies, corporate profit tax, fees for the use of radio frequency resources, VAT revenues from imported goods and profits of the National Bank. In addition, unlike the original version, the adopted draft budget envisages receiving UAH 4.7 billion from confiscation of property by court decisions for corruption offenses. According to experts, in general, the estimates are realistic, and a possible shortfall in revenues in the form of profits and dividends of SOEs can be compensated for by higher inflation. The Ministry of Finance assures that the budget for 2018 was outlined based on the estimates of the potential incomes and real possibilities of the economy, rather than costs or desires. Meanwhile, experts note the opposite and believe that some expenses in the budget can be called the deputies’ "whims" rather than part of the budget programs that are necessary for the state and are effective for society. President Petro Poroshenko has already boasted the adoption of the budget to IMF Managing Director Christine Lagarde in their latest telephone conversation. Although, most likely, the main topic of their conversation was not the budget but the fight against corruption. The international community was indeed concerned over the attempt by the Ukrainian authorities to "kill" the National Anti-corruption Bureau, which is probably the country’s most notable achievement following the Revolution of Dignity. Now the head of state should ensure greater freedom of NABU and promote the emergence of the Anti-Corruption Court. 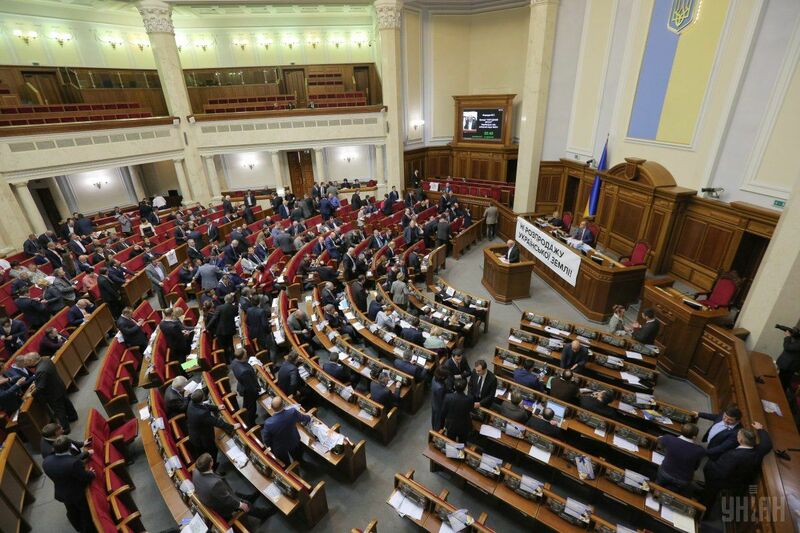 Several hours before the budget vote, the Verkhovna Rada passed changes to the Tax Code. Moreover, the text of Bill "On Amending the Tax Code of Ukraine to ensure the balance of budget revenues in 2018" was shown to the deputies right before the voting, while many amendments were submitted orally. Presenting the Bill, Chairman of the Verkhovna Rada Committee on Tax and Customs Policy Nina Yuzhanina noted that by the second reading 244 proposals had been received, of which 178 - taken into account. "These proposals concern virtually all sections of the Tax Code and amendments to other legislative acts of Ukraine. With the assistance of a wide circle of people's deputies, experts, and specialists from several committees, we have worked out all the proposals fairly and carefully, and took into account 178 of them," Yuzhanina said. In the end, the law was passed, but not all the deputies realized what they voted for. Even the Doctor of Economic Sciences, the old-schooler of Ukrainian politics MP Viktor Pynzenyk did not understand all of it, either. "It's hard to find words to characterize yesterday's changes in tax legislation. These norms are not easy to assess because the draft containing more than 200 amendments was distributed to us to make a decision literally before the vote, while some norms were passed "on the wheels", that is, orally. Therefore, I managed to find many ‘surprises’ only after the voting, and apparently, not all of them," he wrote on Facebook. Among tax innovations, Pynzenyk stressed that customs fees for imported petroleum products and liquefied gas are allowed to be “paid” with t promissory notes. Besides, a tax is established on the exports of soybeans, rapeseed, and sunflower; the rate of tax on the highly profitable extraction of Ukrainian gas is decreased many-fold, while the regime is introduced for the import of equipment with a 24-month deferred VAT payment (application of promissory notes is possible). "Particularly ‘pleasing’ is the fact that this norm was approved immediately after the general endorsement of the so-called “Buy Ukrainian” law, Pynzenyk noted sarcastically. Among other innovations, the exemption should be noted from VAT and excise tax of imported electric vehicles and the right to reduce income tax by the amount of the excise duty paid for diesel fuel for locomotives and dump trucks. The law also provides for an increase in the excise tax rate for tobacco products on the following schedule: by 29.7% in 2018 and then by 20% annually until 2025, until the EU minimum standard of EUR 90 per 1,000 units is reached. "Murder of Prozorro" - this is how former Minister of Economic Development and Trade Aivaras Abromavicius commented on the bill passed by the Verkhovna Rada in the first reading under the loud slogan "Buy Ukrainian, pay Ukrainians." The document stipulates that domestic manufacturers shall win biddings a priori, even if their price offer is 25% or 43% higher than that of their competitors that are foreign companies. 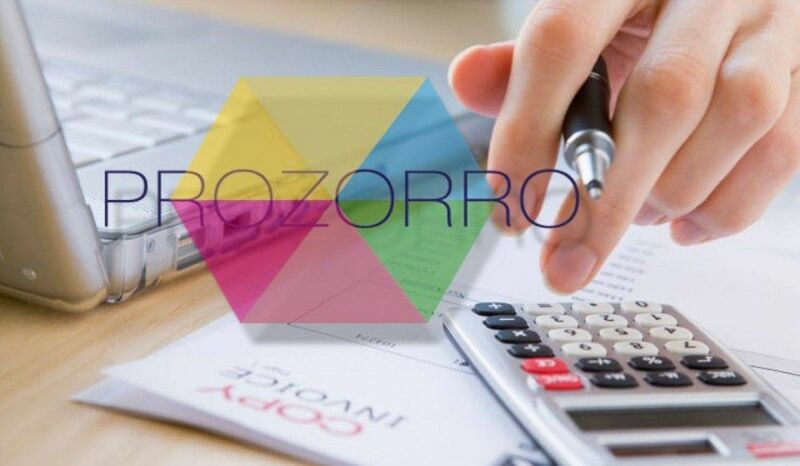 One of the bill’s authors, head of the Verkhovna Rada Committee on Industrial Policy Viktor Halasiuk, while presenting the document, claimed that the law did not kill the ProZorro system, instead it significantly improved it. "We need to modernize the ProZorro system so that it works for Ukrainians and for the benefit of Ukrainians," he said. The bill has already sparked a flurry of criticism and indignation in the government. The Ministry of Economic Development and Trade was the first agency to ring the bell, calling the Bill a "mega-corruption scheme". "Anyone who collects 23 certificates to have their goods recognized as domestic is proposed to be overpaid up to 43% of the bidding sum. Tens of billions of hryvnias are offered to be sent to selected oligarchs and businessmen. The argument is primitive - we do not need German technology to build roads as [Ukraine’s road repair company] Avtodor may just continue throwing asphalt into road pits with shovels in the rain. It’s only that we will pay them more money than the Germans," Deputy Minister of Economic Development and Trade Maksym Nefyodov wrote on Facebook. So, by adopting a single law, one of the successful reforms in public procurement can be actually crossed out. After all, it was repeatedly stressed before that thanks to ProZorro, some UAH 35 billion was saved. And that’s all because both domestic and foreign companies can apply for biddings. The key criterion for their winning is the best price offer. Although that was not always the case, either. For example, the tender by Ukrzaliznytsia for the purchase of rail fasteners… Three companies participate: AT Mechanics and two related companies - VM Trading and Avangard-Garde. But the tender is won by the firm that offered the highest price. And ProZorro couldn’t prevent this chaos from happening while Nefyodov did not show much indignation about the fact. It can be assumed that the bill will not make it to the second reading. The BPP pro-presidential faction, after sharp criticism on the part of the IMF and World Bank for trying to "kill" NABU, will not want to get into another trouble. After all, if we believe what Nefyodov says, the draft law contradicts the Ukraine-EU Association Agreement and the treaty with the World Trade Organization. And this would be yet another scandal. A miracle did not happen. Once again (now for the tenth time), the moratorium on farmland sale was extended for another year in Ukraine. Land reform was to become a priority in parliament and government’s work this year, but it never did, despite the fact that the launch of the farmland market was a key condition for the provision of the next tranche by the International Monetary Fund. In early autumn, this condition, this condition was already postponed at Ukraine’s request. But the authorities will not be able to keep fooling international lenders forever. The World Bank expects that in 2018 all preparatory steps will have been completed and the moratorium will be lifted in 2018. First of all, it is about the completion of work on the creation of a full-fledged land cadastre. It turns out that contrary to the statements of the acting minister of agrarian policy, Maksym Martyniuk (he was previously the head of the State Geodetic Commission), only half of the data on Ukrainian land has been digitized. "Look, for 25 years there have been efforts to create a land cadastre, and only over a half of it has been completed. We cannot be speaking about any farmland market launch until all data on land has been digitized," President Petro Poroshenko said, lashing out with criticism on Ukrainian ministers not so long ago. Now the work will obviously have to be accelerated. Otherwise, Ukraine will not see IMF money. Moreover, in the coming years Ukraine will have to make huge payments on external debt. To do this without breaking own neck will be possible only through further cooperation with the country’s main creditors and by growing the national economy. Although, both experts and general public are still debating on the issue of abolition of the ban on farmland sale. Some believe that the moratorium only creates a shadow land market and is beneficial to large agricultural holdings, which are buying up rights to land plots from people at lowest prices, while others are afraid that the lifting of the moratorium will lead to the fact that foreign companies will buy bulks of land from the villagers. Sooner or later, the moratorium on farmland sale in Ukraine will be canceled. In this regard, the real war for the most valuable state asset, its land, has already unfolded. The number of raider attacks on agrarian enterprises is off scale. And they almost always involve representatives of law enforcement agencies, and most importantly - registrars, who can illegally enter data into the register on falsified minutes of meetings of shareholders, or re-register land, etc. The recent case with Svetylnyanske enterprise in Kyiv region is another evidence of this. To prevent such cases, a government decree was adopted at the government meeting, which tightens the mechanism of operations of state registrars to eliminate the possibility of their assistance to agrarian raids. "This approach, when we can eliminate any abuse by the government's decision, is a very correct one... The problem with agrarian raiding is in our focus," said Prime Minister Groysman. In particular, the decision provides for the impossibility of registering a non-existent land plot due to mandatory verification with the data in the State Geodetic Commission. At the same time, the state registrar will be obliged to notify the State Geodetic Commission about their actions. In addition, the state registrar will be obliged to verify the identity of the subject of legal actions and their legal capacity, to eliminate the possibility of committing actions regarding property on forged documents, including on behalf of the owner. The decision also allows access to the real estate register through Mobile ID and to up-to-date information on legal actions with property. In this case, SMS-notices about legal actions with property will come even if it is rented. In addition, the Ministry of Justice launched an online service on the registration of state property lease in the register of property rights independently, without visiting the state registrar. To do this, one will only need a scanned rental contract and an electronic digital signature. "Online registration of lease agreements will simplify bureaucracy, while automatic verification with the State Geodetic Commission will protect against land manipulation and against raiding," said First Deputy Minister of Justice Natalia Bernadska. In addition, a draft law has been registered in the parliament, which strengthens the responsibility of registrars. As UNIAN was told by Deputy Minister of Justice Olena Sukmanova, criminal cases have now been opened against 25 registrars, but there have been no reports on them being actually brought to justice.